Design your own custom straw flags, cupcake toppers, and party printables with this easy-to-use DIY template. Make your own cupcake flags and custom party decor for a boy or girl's birthday party, baby show, bridal shower, wedding, or other occasion. 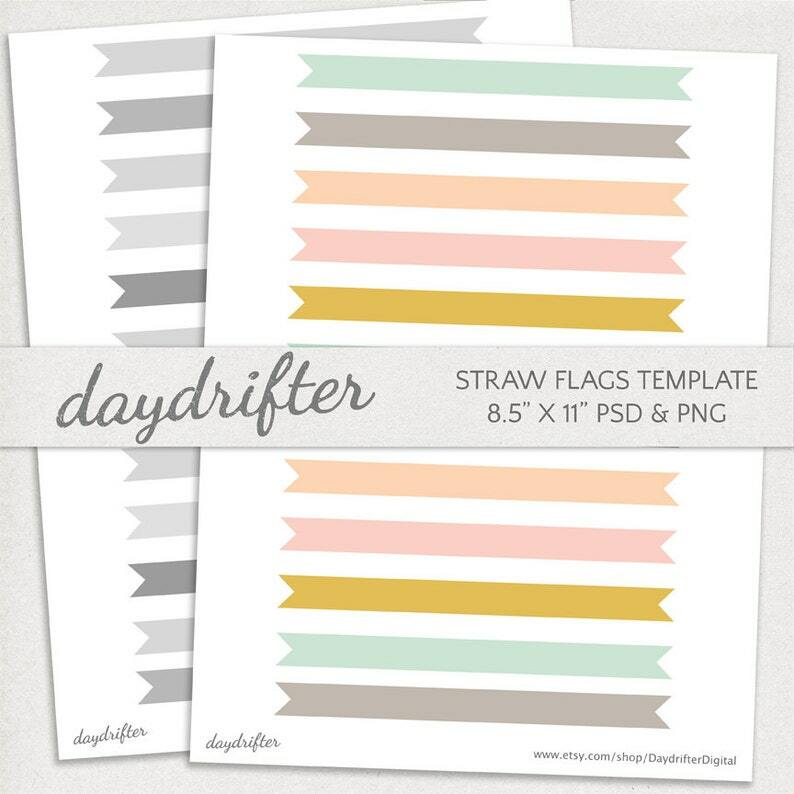 Use the template for digi or hybrid scrapbooking, stickers, labels, card making, and more! Print the template as many times as you like. The .PSD file is a Photoshop file that can be opened with Photoshop or GIMP (free). Add your images, place them behind the Template Overlay Layer, customize, and print. One free online tool that supports editing images with layers is https://pixlr.com.